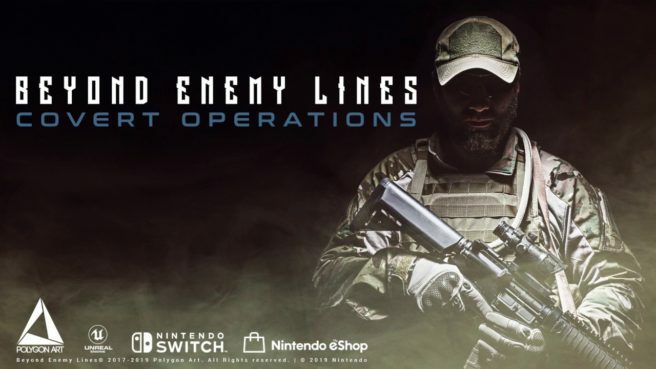 Thanks to listings on the North American and European eShops, we have a release date for Beyond Enemy Lines: Covert Operations. The shooter is expected to arrive in both regions on April 23. Think your way in, observe the enemies, sneak into their base and complete your objective. You have the total freedom to choose your path – guns blazing or silent assassin – it’s your choice! Beyond Enemy Lines: Covert Operations is an unforgiving, intense experience where skill and tactical decisions matter! You are a Special Agent. Equipped with state of the art weapons and equipment, you operate in absolute secrecy as a lone wolf far beyond enemy lines. Scout the environment from an elevated position and plan your own tactical strategy. Do you go in silent and sneak around the guards or do you blast your way in? It’s your choice! The vast, nonlinear missions provides countless opportunities. Some are more obvious the other – so keep an eye open for a new and possible better route to flank your opponents. – 8 mission long single-player Campaign with 10+ hours playtime. – 9 unique and different weapons ranging from Pistols over Assault Rifles to Sniper Rifles. – Huge replayability in vast, nonlinear missions. Pricing for Beyond Enemy Lines: Covert Operations is set at $13.99.